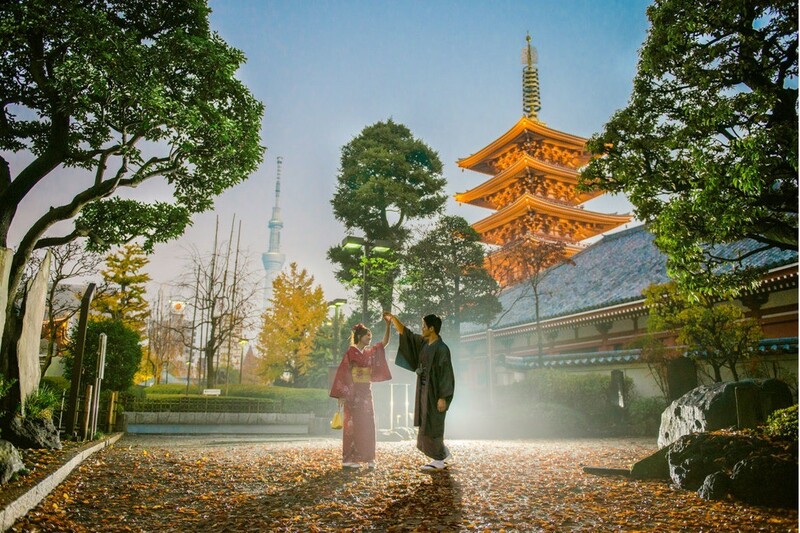 Kyoto, the former capital of Japan, is a Japanese city overflowing with tradition and culture. If you're looking for the "traditional Japanese experience", you've come to the right place. it was actually one of the few cities left largely untouched during wartimes, which means lots of the old buildings, temples, and shrines are still alive and well today. Because of the beautiful architecture, it is a popular tourist spot with many cultural activities available. Rental kimonos and yukatas are commonplace here for tourists, and it is easy to hire kimonos for photoshoots and general touring. And as a tourist hub, many services provide these cultural experiences in English and sometimes Chinese. If you're walking through such beautiful areas with kimono on, why not take a photoshoot while you're at it? There are many places to visit in Kyoto. Some locations have historical meaning. Some have beautiful nature. And some are just tourist traps. 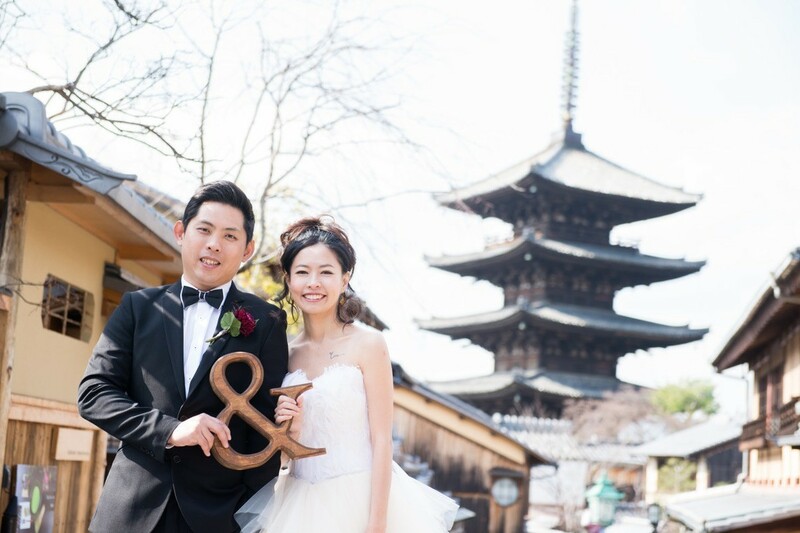 But for your photo shoot location, you'll want to have Kyoto pictures that highlight you and your partner/friend/family's personality and tastes. So, where are some places to go in Kyoto that provide the best photos? This temple in Kyoto is one of the most famous temples in the area for its' breathtaking sites in and around the area. Well known to be a popular spot in spring because of the many cherry blossoms that surround the area, other seasons have much to offer as well. 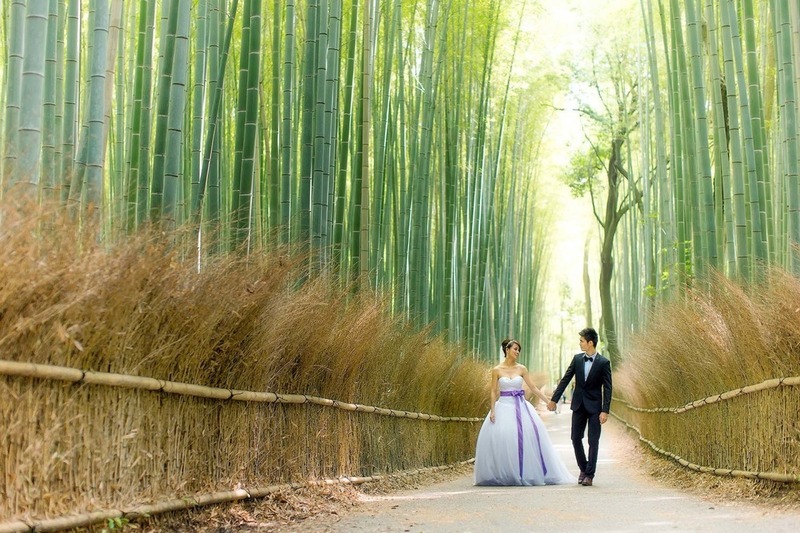 This historic site is famed for the bamboo grove that provides a stunning background for the perfect picture. 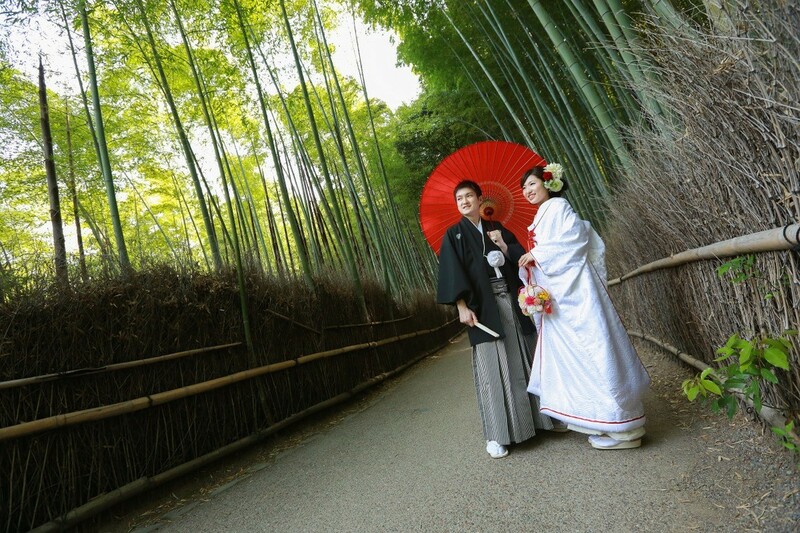 Though the area itself has many popular tourist spots to see, the bamboo grove is most famous. The endless rows of green bamboo stalk provide a serene and calming atmosphere. 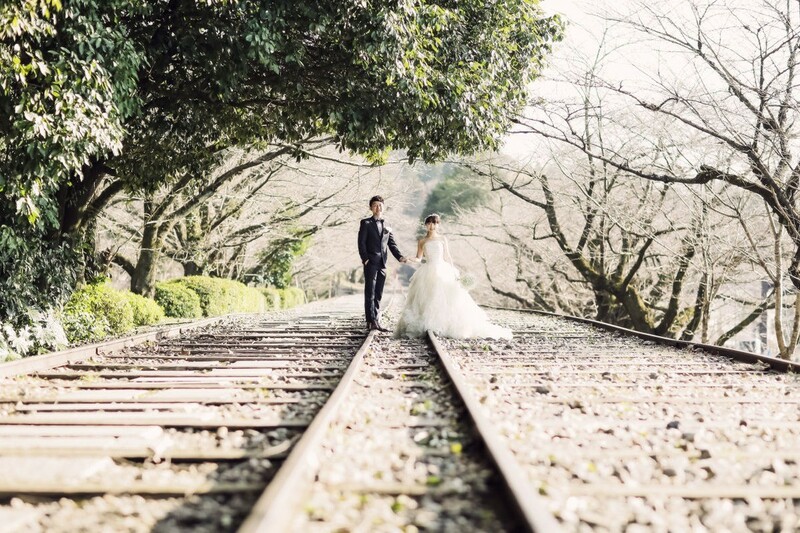 Once used as a rail line, this old railway is lined with beautiful cherry blossoms and is known to be one of the best places to see them. 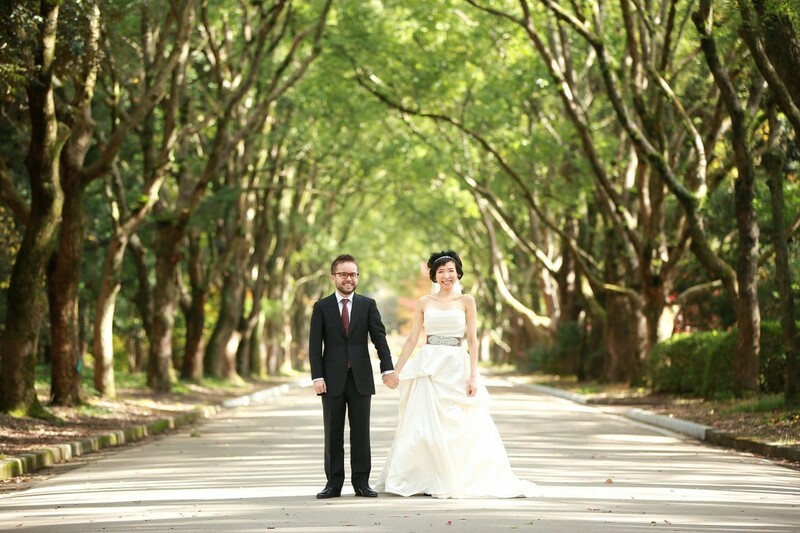 A very popular photo spot for couples for its tranquil background that creates amazing photos. Lined with many cherry blossom trees, this stone path is a popular spot in spring when the sakura are in full bloom. The Philosopher's walk, also known as Philosopher's path, is about 2 kilometers long and provides picturesque backgrounds fo every season. 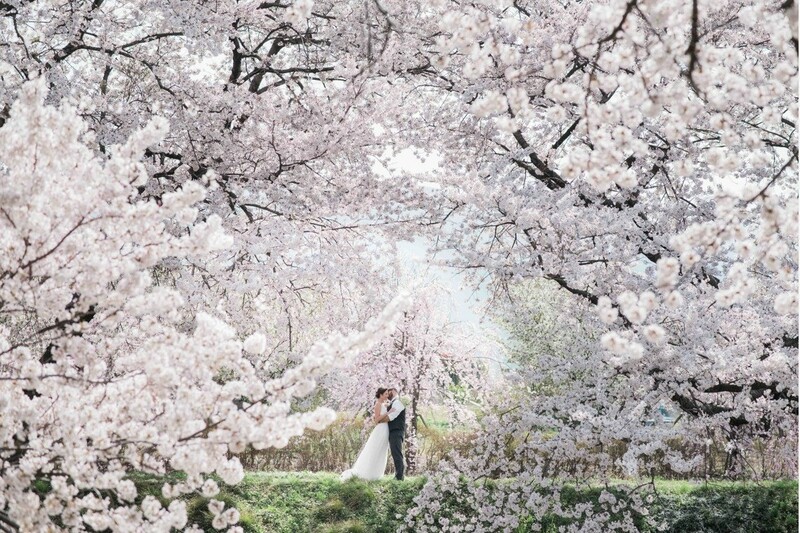 Famed to be the most popular cherry blossom viewing spot, this park in Kyoto is the perfect spot for cherry blossom photos. The Maruyama Park is famous for having a weeping cherry tree that illuminates at night. A kimono experience in Kyoto is quite easy to book. In fact, you'll see many people wearing kimono on the streets-- it's completely normal. Many of our customers at Famarry tend to rent their own kimono from online, and then order a freelance photographer in Kyoto to save money. Others prefer taking the easy route, and order photo shoot packages from our photographers who own a bridal salon. 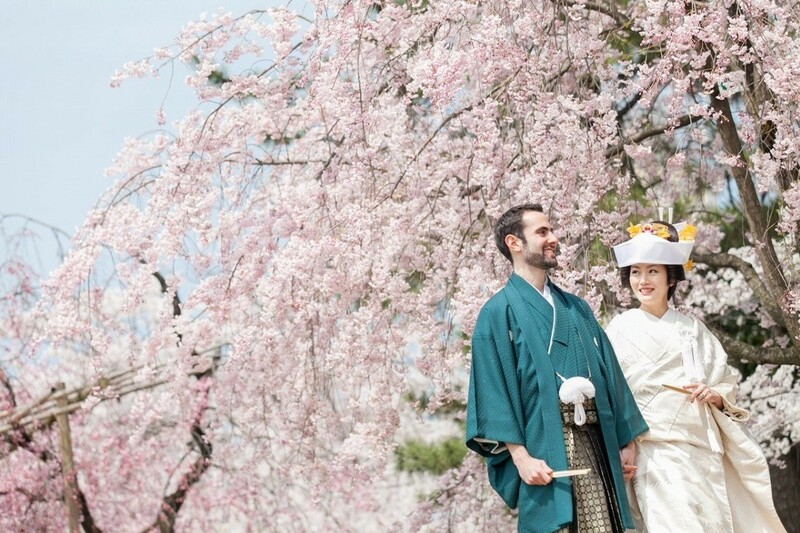 You can order both kimono and bridal dresses from our photographers. If you have time for an advance fitting before your photo shoot date, let us know! You can also reserve specific patterns and designs by researching catalogues; the possibilities are endless! 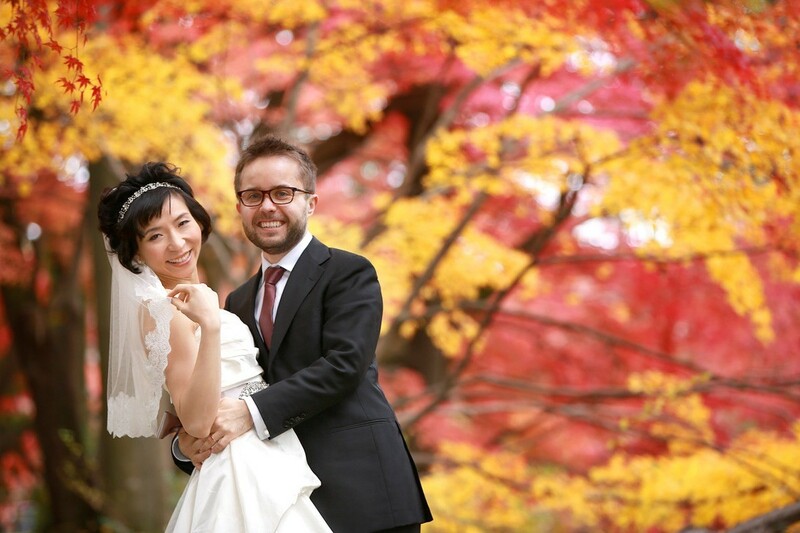 There are two seasons in Kyoto that we recommend for photo shoots: cherry blossom season and autumn leaves season. Cherry blossoms-- also known as sakura-- are popular due to their significance in Japanese literature and culture. They only last a short couple weeks, so careful planning and flexibility are important! Every year, the exact timing is different. It's too early to tell for 2019, but late-March to early April is usually the best time. The autumn leaves in Kyoto are also beautiful. Although the exact timing of Kyoto's fall foliage in 2019 is unknown as of know, we predict the leaves to change color in Mid-November to Early December.